The American Revolution is the earliest of the four revolutions studied in VCE History (Revolutions). It began in the mid-1700s and ended with the formation of the United States in 1789. The setting for the American Revolution was a group of 13 British colonies, located on the east coast of North America. These colonies were settled and populated by the British during the 1600s. By the time of the American Revolution, there were approximately 2.5 million British colonists in America. They shared the continent with dozens of Native American tribes, around half a million African-American slaves, as well as French and Spanish colonists. The 13 British colonies were governed, in name at least, by Britain – but each colony had its own elected assembly, which was responsible for passing local laws. The starting point for your studies of the American Revolution is the French and Indian War (1754-1763). This war was fought between the British and French, along with their Indian (Native American) allies, effectively for control of North America. The British emerged victoriously and claimed vast amounts of territory to the north and west. Managing and defending this new territory was an expensive business, however, so London looked to extract more revenue from her American colonies. British revenue measures in the colonies led to disputes over taxation, representation, trade and government. In time, these disputes grew into a revolution. 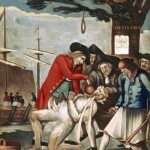 The Boston Tea Party (December 1773) prompted Britain to impose its authority on the colony of Massachusetts. The consequences of this were military preparations, war, the formation of an American continental assembly and, in July 1776, the signing of a declaration of independence. There are many differences between the American Revolution and the other three revolutions in this course. Unlike the revolutions in France, Russia and China, the American Revolution had aims and objectives that were almost entirely political. Its focus was to change and improve government in America – not make radical changes to society, restructure classes or redistribute wealth. Society in post-revolution America was much like society before the revolution; the American Revolution certainly brought about some social changes but they were incidental or subtle. The American Revolution also lacked the state-sanctioned violence, terror and human suffering of the French, Russian and Chinese revolutions. It was not a bloodless revolution by any means – but in comparative terms, it was completed with minimal violence and disruption. As a student of the American Revolution, you will explore and discuss several important political concepts and issues: imperialism and colonialism; taxation and representation; power and sovereignty; liberal ideas of the Enlightenment, like self-determination and popular sovereignty. Studying the aftermath of the American Revolution will furnish you with a good understanding of the United States and its political system. The revolution produced three cornerstone documents that still underpin American government and society: the Declaration of Independence, the United States Constitution and the Bill of Rights. 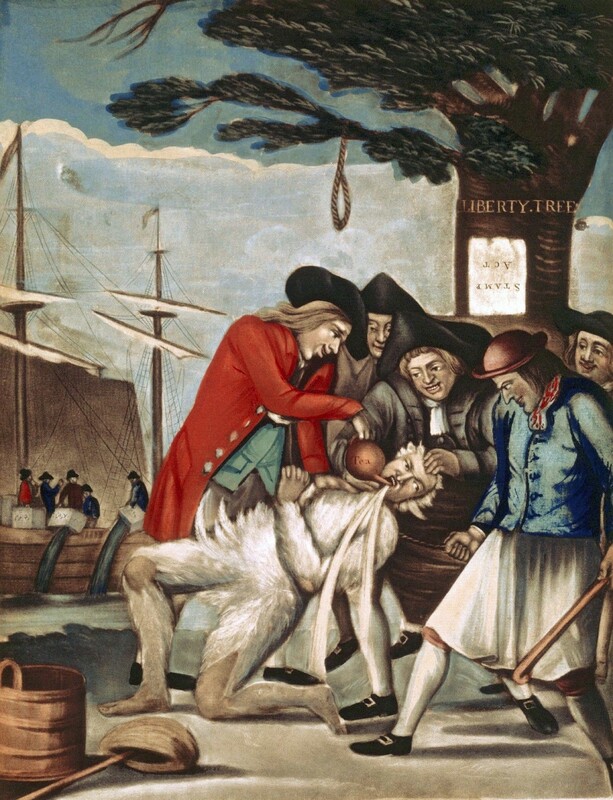 Americans often hail their revolution as a triumph of modern political values – but you will also study the perspectives of groups who did not immediately benefit from the revolution, such as Loyalists, Native Americans and African-American slaves.